This fish food has been designed for the residents of classical society aquariums. 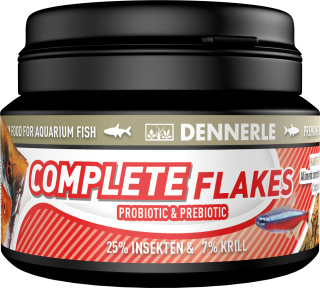 The flakes consisting of 30 different ingredients are well received by fish of various sizes. 25% of this food is delicious insect larvae and 7% of vitamin-rich vegetables. In addition, the leaves of the "miracle tree" Moringa olifera with its high content of trace elements and vitamins are included.